The Rackham Predoctoral Fellowship is one of the most prestigious awards granted by the Rackham Graduate School. 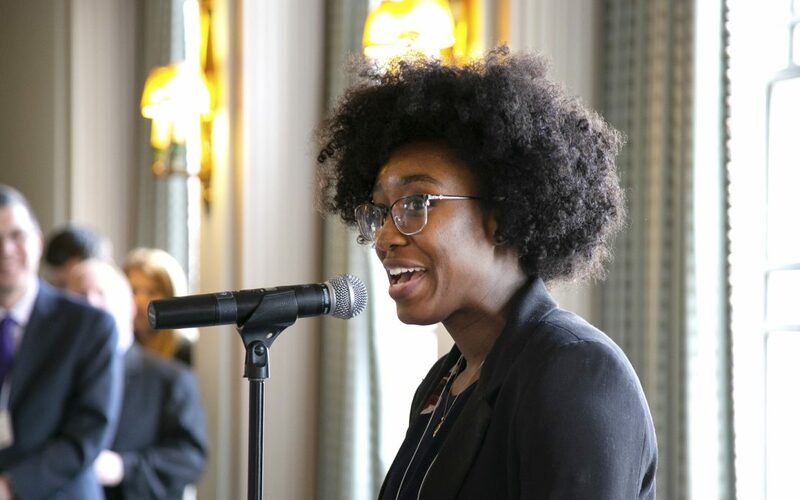 On Wednesday, March 27, 2019, the Rackham Graduate School honored the 102nd cohort of Barbour Scholars—eight high-achieving women who come from a vast array of backgrounds and fields of study. The ProQuest Distinguished Dissertation Award recognizes exceptional and unusually interesting work produced by doctoral students. Each year, Rackham invites faculty to nominate outstanding dissertations produced in their programs. The nomination dossiers submitted are read and discussed by a review panel of faculty members who identify the finalists. This year, the Rackham Graduate and Professional Student Appreciation Week will take place April 1–5. The week’s activities will feature a number of events aimed at showing our appreciation for graduate students with breakfasts, social events, and networking opportunities. The “Best Graduate Schools” rankings are based on expert opinions about program excellence and on statistical indicators that measure the quality of a school’s faculty, research, and students. Diversity in STEM fields has been a challenge for decades. To better understand the dynamics involved, one Rackham alum looks at the experiences of those entering and engaged in STEM study. Praesent commodo cursus magna, vel scelerisque nisl consectetur et. Donec sed odio dui. Nulla vitae elit libero, a pharetra augue. Fusce dapibus, tellus ac cursus commodo, tortor mauris condimentum nibh, ut fermentum massa justo sit amet risus.